Arthur Mitchell and his dog Plutus discover another mystery. Arthur Mitchell and his detective dog Plutus are enjoying their peaceful life when Arthur’s friends begin to die in mysterious accidents. Who is behind these accidents and will Arthur be the next to die? What is the meaning of the clues Plutus discovers? Planned Accidents is the second Arthur Mitchell mystery series. My latest book, Planned Accidents, is finally finished. 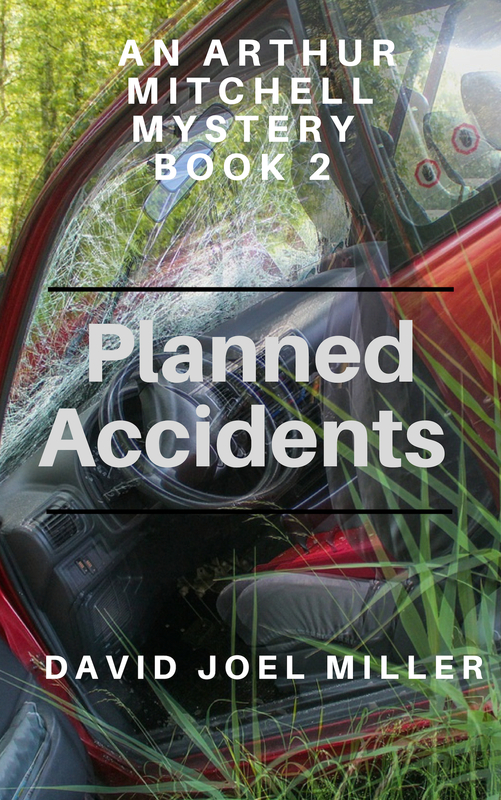 Planned Accidents is my fourth book, the second in the Arthur Mitchell and his dog Plutus mystery series. Planned Accidents, the Kindle edition, is now and the preorder phase. Its official release date is April 1, 2019. The paperback edition is currently available from Amazon. I started this book last November as part of the NaNoWriMo contest. Planned Accidents was one of the “winners” of that adventure in 2018. I have spent the last three months editing and revising the book. Of course, life always seems to get in the way of being creative. So, there have been several starts and stops along the way. I think the reason I finally finished this book was I set a firm deadline for myself for it to be released by 1 April. Counselorssoapbox YouTube video channel continues to grow. I started this video channel project largely for the students and counseling classes. I can tell the younger students prefer watching videos to reading the text. Creating videos has turned out to be a bit of a challenge for this digital immigrant. The current series of videos are about drug use and abuse. Please feel free to check out the videos. Planned Accidents. Arthur Mitchell and his dog Plutus discover another mystery. Books are now available on Amazon. By David Joel Miller, Writer. After the writing comes the revision. As some of you are aware, I spent the month of November participating in the NaNoWriMo (the National Novel Writing Month) contest. This event is the fourth time I have attempted this and the third time I have succeeded in completing a first draft of a novel in one month. Participating in the contest has taught me a great deal about writing a novel. What I’m struggling with now, even more than writing a novel, is the process of revision, trying to turn that first rough draft into something worth publishing. I would like to share with you some of the challenges I’m experiencing in revision, but first a little background. Casino Robbery started the Arthur Mitchell mysteries series. Planned Accidents is the second in the Arthur Mitchell mystery series. Arthur’s adventures began in the book Casino Robbery. After the financial crisis in 2008 Arthur Mitchell, accountant, gave up working at Fantastic Finance to take what he thought would be a safe and stable job working as an accountant for a Las Vegas casino. Arthur was trying to avoid anything risky. What Arthur hadn’t expected was to be in the middle of taking his fiancée to lunch when the casino was robbed. During the robbery, the criminals shot Arthur and killed his fiancée. Because of the robbery, Arthur developed a severe case of PTSD. Unable to return to work Arthur opened a small thrift and collectible store on a rural Highway between Las Vegas and Utah. Unfortunately for Arthur, it turned out that as being shot wasn’t accidental, someone had wanted him dead, and he was pulled into investigating the robbery. Arthur became both an amateur and an accidental sleuth. Planning Accidents turned into Planned Accidents. Arthur has settled into running his thrift store, thinking the danger is behind him, when someone begins contacting the former employees at Fantastic Finance demanding money. First one and then another of Arthur’s former colleagues dies in mysterious accidents. At least that’s what the police think they are. Arthur’s not so sure any of this is accidental. I started this novel with the working title Planning Accidents. What I found, as I wrote was that talking too much about planning the accidents took the focus off my hero Arthur and started me writing more about the people who could be planning these accidents. To shift the focus back on to Arthur and how he is drawn into investigating these supposed accidents, I’ve decided to change the title to Planned Accidents. My first draft ended up with a lot of loose threads. As I began my revision in January, I discovered I had included a lot of events that had nothing to do with Planned Accidents. Several times in the first draft I had Arthur buy some limited-edition lithographs. When Arthur inspects the lithographs, he discovers he has two copies of the same piece of art both with the same serial number. Somebody has been counterfeiting works of art and selling them directly to collectors. Once Arthur purchases the art from those collectors, the fraud becomes apparent. Of course, the counterfeiters don’t want to be caught, and they make life extremely dangerous for Arthur Mitchell, as in they try to kill him. Once I realized this whole subplot had nothing to do with the Planned Accidents I pulled out the discovery of the duplicate lithographs and left that for Arthur to encounter in mystery number three or maybe even number four. What do I do with the letters from the dead person? One of the lots Arthur buys at an estate sale includes a bunch of letters an elderly lady had written to a police detective which were returned to her unopened. The author of the letters wrote to the detective describing a murder she had witnessed. Again, I discovered I had another crime for Arthur to investigate but trying to send him in that direction while he is trying to avoid being killed by someone who is planning his accidental death just mucked up the plot a little much. I pulled out all the material about the discovery of the letters from the witness, and I’ll save that for another Arthur Mitchell mystery. Once I get Planned Accidents finished, I think I want to start on this mystery, currently with the working title of “Letters from the Dead.” I think once we start opening the letters we will find the elderly lady witnessed more than one shocking crime. Does this book need another page of description? In the revision process, I struggle to decide whether I have written too much description or when there are insufficient details. I read a lot of other fiction, particularly in the amateur sleuth category. Occasionally I’m impressed by some extraordinarily brilliant description which produces a vivid image in my brain. More often though, when I reach long passages of description, I find myself speeding up, skimming over the description. I am starting to feel like description, at least in an amateur sleuth mystery, is like spices in a stew. A little bit of spice, especially chili powder, can enhance the dish. But I don’t want my novel to resemble my stew, the time I accidentally dumped in a whole jar of chili powder. I have an idea. If any of you readers would like to read draft two of “Planned Accidents” sign up for my mailing list or use the contact form and when it’s ready, I’ll send you an advanced reviewer copy of “Planned Accidents” and you can tell me if I’ve included too much or too little description. Of course, other feedback would be helpful also. Does that dog ever do anything? Something else I have been fixing as I’m working on draft number two is sorting out the role of Arthur’s dog Plutus. Plutus was important in the Casino Robbery book because he had belonged to Arthur’s fiancé’s Janet. In this mystery number two, Plutus kept turning up in various chapters but not doing much. As I revised, it became plain that Plutus unquestionably has a part to play in this story. Since Plutus helped Arthur solve the first mystery, I think I should put him to work helping to solve mystery number two and beyond. There are some early thoughts about my revision project. I’ll share more with you in the future. Why do indie authors give books away free? Why do self-published authors have free books? Almost every day I received two separate emails promoting available e-books. Some of these books are available for a reduced price, and others are available free. Well-known authors and the established publishers may run a temporary price promotion, but they rarely, if ever, offer their books for free. Why do so many self-published, indie authors, myself included, offer their books for free? Self-published authors want to attract new readers. Well-known authors already have a ready-made audience for their books. Avid readers are waiting for the next release. Lesser-known authors must work harder. And when you’re a brand-new author, such as myself, finding readers for what you write takes a lot of effort. One way authors, even established authors, attract new readers is to offer their book free. Offering a book for free is a marketing decision. Authors may offer one book free for limited time, or they may have one title in their series that is permanently free. What indie authors collectively shouldn’t be doing is giving away so much free stuff that it’s hard to charge enough to support their writing. A substantial number of readers have very specific preferences for the kind of books they read. If you like action adventure, you’re not likely to read cozy mysteries or romance. New authors need to put themselves out there so that the readers who might potentially become their fans get exposed to one of their books. Even authors who have built a group of regular readers need to continue to search for the readers who might be interested in the type of book they write. There are pros and cons to getting “typecast” for an author. Once an author is identified with a particular genre, you’re likely to disappoint their readers if they write something in another style. For an author whose name is closely tied to one category, they are more likely to have a ready-made audience for each subsequent book they write. Book reviews help people decide if this is a book they would like to read. There are two types of reviewers. Professional reviewers are likely to receive a lot of books in the competition between authors for their reviews can be fierce. Professional reviews are displayed on the book’s page towards the top with the editorial content. Reviews from readers and their “star” rating are a form of social proof. If you are writing literary fiction, having a famous book reviewer say good things about your book will help sales. For most genres having a substantial number of readers who have reviewed the book can boost the sales. Even a few negative reviews can help the reader decide whether this book is for them, particularly if the reviewer gives reasons why their review was low. One way to get more reviews is to offer many free copies during the initial book launch. Free gets a new book noticed. There are millions of books available right now. Each day that goes by hundreds of thousands maybe millions more get published. When people go looking for a book the search engines will display the book they think that person would want first. The popular book that is selling lots of copies will appear on page 1: the indie authors new book, the one no one is bought a copy of yet maybe ranked 67,000, and it may appear on page 3,350. Offering that book temporarily for free can bring it up in the rankings and get it noticed. Some may booksellers, by the way, separate the free books from the pay books. But even getting seen on the free book page can get an author better known. Free promotions get the spotlight back on your book. Once a book has been on the market for a while sales slowdown and the rankings drop. Running a free book promotion is one way to get that book back in the spotlight and arrange for people who hadn’t seen it before to notice it. Free book promotions need to be used carefully otherwise the only time the author “sells” their book is when it’s free. Some platforms limit the author’s ability to offer a book for free. This is one incentive for authors to list their book exclusively on Amazon. Books that are exclusive to Amazon can be offered free for a certain number of days during each listing period. Perma-free Books interests readers in the series. Authors who write ongoing series, one with a recurring protagonist, frequently set their first book permanently free or offer it at a low price to encourage new readers to try the series. If you like the characters and the author’s writing style, most readers are willing to buy subsequent books about that same character at the regular price. Being a new indie author, I continue to experiment with ways to market my books. I think all my books are reasonably priced, but occasionally I offer one of those books free for a period. I run those free promotions on different books and often move the free deal from platform to platform. If you want to hear about new books and promotional prices including free book deals sign up for my mailing list for watch the blog for announcements. The why changes the way you write. Writing is an awesome skill. The ability to write allows us to save information for later use and it enables us to transmit that information to someone in a distant place. Writing also gives us access to the thoughts and expressions of people were no longer with us. Writing is such a useful human skill that the meaning of “writing” has expanded well beyond the use of paper and pen. Writing also implies a related skill, which we generically call “reading.” Today under the category of writing we include alternative recording methods such as typing and dictating. Reading also includes listening to audio “books.” The boundary between writing words and delivering messages through video content is becoming less distinct. Writing can play a great many roles in your day. What you write can be utilitarian, the recording of information and data. What you write can be very personal or can be designed to inform or entertain people you will never meet. Creative people often explore a variety of mediums searching to find the best method to express whatever it is they are seeking to communicate. Both the process and the techniques they use change depending on the piece that they are writing. Here are some of the reasons a person might be writing and how that purpose would affect the process. Utilitarian writing needs the facts. Utilitarian writing might be anything from making out a grocery list to recording the instructions for assembling a table. If it’s written just for you, there will be a minimum of elaboration, and you may use terms that have personal meaning. Your grocery list might include the notation “lasagna fixings” if you are planning to cook dinner, or it might say “pasta isle” if you are restocking shelves in a grocery store. Writing can be for personal exploration. 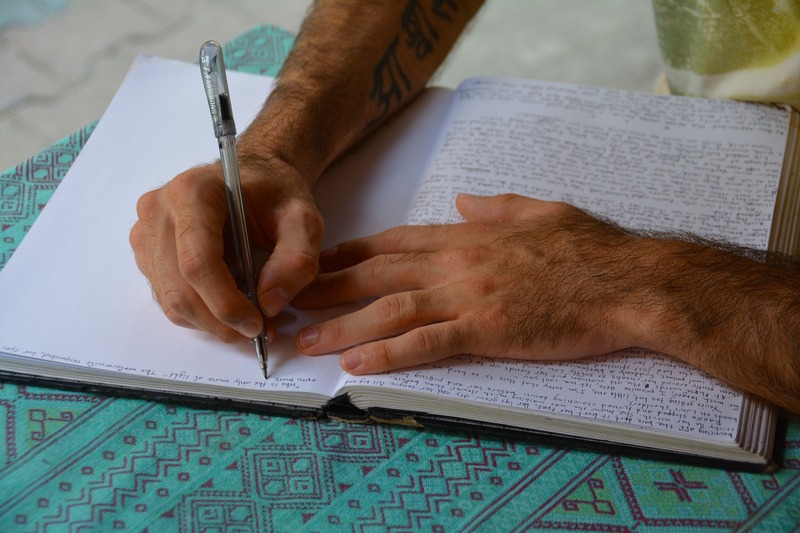 In mental health and recovery, people are encouraged to write about their thoughts and feelings, a process often described as journaling. Personal writing can be an opportunity to write about things you don’t want other people to know. Writing your thoughts and feelings can help you sort out what’s going on. If you Journal over an extended period and then go back and look at your earlier writings, you can often see how your emotional states and your plans have changed over time. Writing to express strong feelings. Poetry is an especially useful medium to explore intense feelings. Poets spend a lot of time in a relatively short work, searching for precisely the right word to convey a meaning. Poetry is often included in high school English classes the most people don’t consciously read poetry after high school. I’m sure there are some exceptions, but most published collections of poems reach an extremely limited audience. The principal use for poetic techniques these days is to marry the poem to music. The great modern poets have been mainly songwriters. The more commercial use of poetry has been the writing of commercial jingles. You are writing because you have a story to tell. Good writing tells the story. Fiction storytelling includes short stories, novellas, the novel, and epic stories. In the short attention span digital age the trend seems to be towards the novella and shorter length novels. Short stories used to be popular in magazines. In the digital age, those short stories attempt to find new homes on the Internet. Electronic publishing and the proliferation of video materials have expanded the opportunities for telling stories in new ways. Storytelling is not limited to fiction. Nonfiction books, particularly creative nonfiction, either tell a story or may use those stories to illustrate the points the author is trying to make. Traditional non-fiction stories include history, biography, and military genre. Writing is a part of your creativity. The drive to be creative underlies a lot of human effort. Some people primarily express themselves visually, and others do their art verbally. Some creative people like to try their hand variety of mediums. If you’ve done a lot of original work in one field, you may want to write a book about those creative endeavors. You are writing because you’d like to make some money. Most creative people hope to make some money from their efforts. In a capitalist society, the primary way we measure the value of things is by how much people are willing to pay for it. Many writers goal is to be able to make enough from the writing to be able to quit their day jobs and write full-time. Many people work day jobs so they can make enough money to support themselves doing their writing. There’s nothing wrong with writing what people want to read. Popular writing, the writing that sells a lot of copies of a book, must also be good writing. If you are writing with the idea of becoming rich, you will probably be disappointed. Monetary results are the result of both the writing and the marketing functions. Don’t fall into the trap of thinking that you need to suffer for your art. Jeff Goins has written an intriguing book titled Real Artists Don’t Starve. These days many indie writers are earning good incomes from their writing and related activities. These are some of the reasons why you may feel the urge to write. I feel sure there are other reasons some of you are writing. One reason is not necessarily better than another. As a writer, you may be writing for multiple purposes and writing different pieces for different reasons. What is critical, I believe, is that each time you set out to write something you get clear on why you are writing this particular piece. This piece was inspired by a question/comment from a reader. Thanks for that inspiration. If you enjoyed this piece, please leave a comment. If you have a question for me, you can ask it through the comment form or use the contact me form. Thanks for reading and I wishing you the happiest life possible. Creating effective character names can be a challenge. I struggle with the process of naming the characters in my novels. Because of those struggles, I have discovered a few tricks. Like most every aspiring writer, I was a reader first. Recently I’ve been doing a great deal of reading out loud to my family. In doing all this reading, I discovered that the way some authors name their characters create problems. First, let me tell you the things I try to avoid doing when naming characters and my solutions to these problems. At the end of this post, I will list a few resources that I use to create character names. Don’t use character names that will confuse your readers. I get very frustrated when I’m reading a book, and there is a group of characters who appear in a scene who all have exceedingly similar names. It’s very unclear to read about Betty, Barbara, Becky, and Bethany who meet a group of men named Daniel, Danny, Doug, and David. It takes the reader a while to get characters straight in their head. I try to avoid having two characters in the same novel whose names start with the same letter. When working on a novel I keep an alphabetical list of the characters, and I avoid multiple names which begin with the same letter. Recently, during November, I began a first draft of a new novel scheduled to be published in the spring, which I’m titling “Planned Accidents.” This book will be episode two of the Arthur Mitchell Mysteries. Book one was Casino Robbery. I quickly discovered I had created two characters both named Howard, one in each book. Howard number two had to be renamed so that I don’t confuse readers who have read book one. I’m now convinced that I need to maintain a master list of characters for all the novels in a given series. Avoid names that are gender confused. Some names can either a male or a female. I’ve noticed a disturbing trend among some authors to use nicknames that shorten the character’s name. The protagonist’s name is Rhonda, but on the next page, people are talking about Ron. Ron is dating Dan though I can’t tell from the context if Dan is short for Daniel or Daniela. Avoid names that readily call up a particular image. Watch out for creating a bridge playing protagonist named Donald and then having to write a paragraph in which Donald bids both trumps and no trumps. Calling a boy wizard Harry Porter is a terrible idea. While it may feel like a shortcut to use a name that readily conjures up the image you’re looking for, using these kinds of names create inauthentic, cardboard characters. Avoid names that sound too much like a real person. Whenever I write a villain for a novel, after creating their name, I do a quick web search. I don’t know that I’ll catch every problem, but I don’t want to write an evil villain and accidentally use the name of a candidate who is currently running for political office. I also avoid names that are too close to recognizable historical figures or sports figures. Avoid racial and ethnic stereotypes. Have you’ve ever picked up a spy novel and noticed that all the characters have either German or Russian names? Do all the stories about organized crime appear to be filled with Italian surnames? Avoid names that are hard to pronounce. In this millennium a great many people are doing their “reading” by listening to audiobooks. I discovered from my family’s nightly reading aloud session, that some names look great on the page, easy to recognize. But it’s very frustrating to keep encountering words that are difficult to pronounce. I think writers should consider what their characters names will sound like when spoken aloud when choosing those names. So, what are the solutions to all these naming problems? Maintain a master list of characters for your novel or series and don’t repeat similar sounding names. I often create the name first and then write the description and biography of that person. If you’ve already cast the character, it can be challenging to find the name that fits them. If you create a new name, do a web search to make sure you haven’t selected the name of a prominent person in some other country. Also, avoid creating names that have a negative meaning in some language you are not familiar with. To create names, I use several sources. Behind the name is helpful for finding first names. You can look at lists by gender, ethnic origin or merely browse the complete list, looking for a name that appeals to you. I’m currently working on an outline for a fantasy book, my first try at writing fantasy because the characters will have connections with medieval Europe I’m looking at various Old English and Scandinavian names for my characters. For last names, I use a related website Surnames; behind the name. Another useful resource comes from the census department. You can look at the top first names by the decade of birth. Here’s the link to the list of the top names from the 1880s. Sometimes I mashed names up. In the past, surnames were often created by taking the father’s first name and adding an ending. I created unique new names for some of my characters, by taking the first name from one ethnicity and combining it with an ending from a different nationality. Back in the 1970s a lot of parents were creating unique names for their children by altering the spelling or combining two first names. I do the same thing for some of my characters last names. Any other ideas on how to create the perfect name for a fictional character?